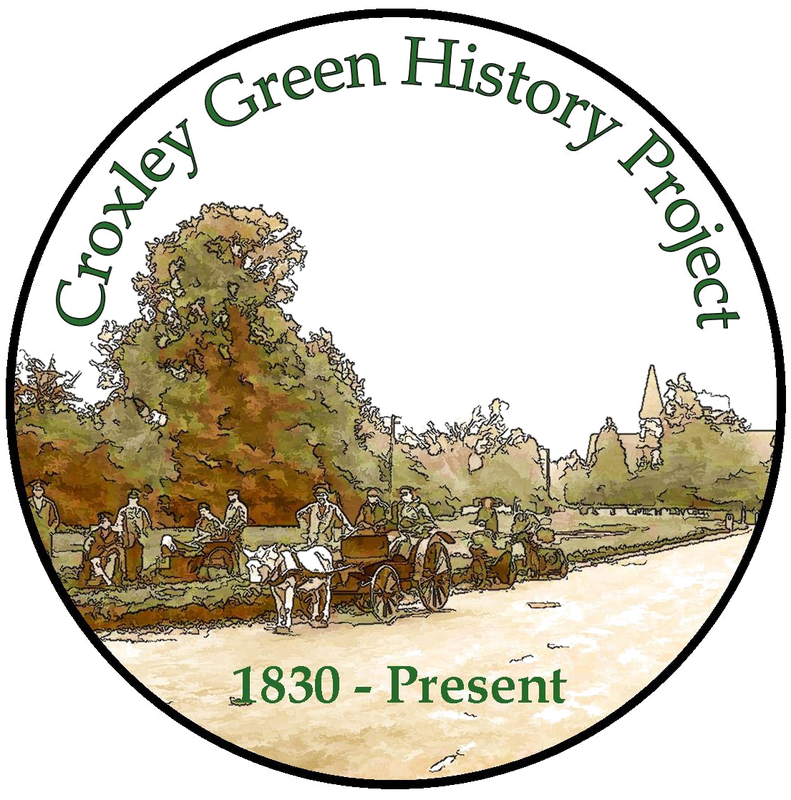 An opportunity in Croxley Green for private education in the early 1900’s was very limited. 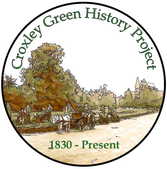 The available schools at this time were in Yorke Road for infants and older girls, as well as the school in the Watford Road for older boys, all under the administration of All Saints church. However for a period, a private education could be obtained at 33 New Road, in a house directly opposite Yorke Road, now a private dwelling. It is known to have been in existence in the 1920’s and 1930’s but the exact dates are unclear. 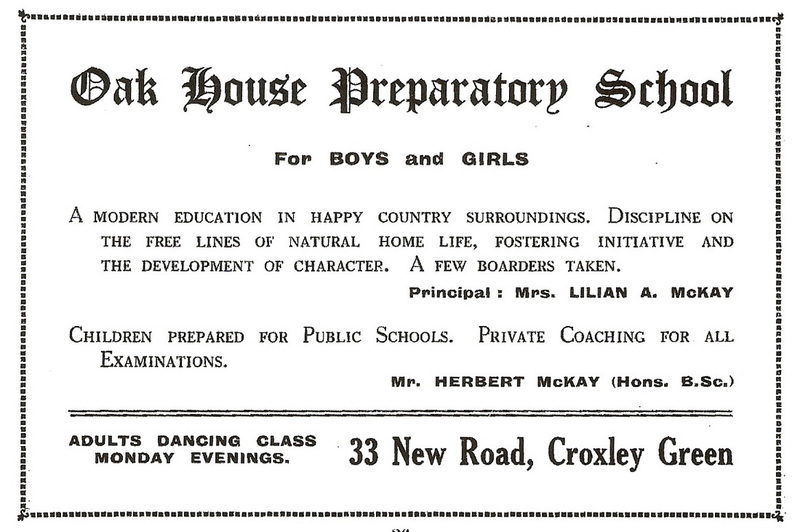 The church schools were acutely over- crowded and Oak House would have been an opportunity for children to receive an education with less pressure. 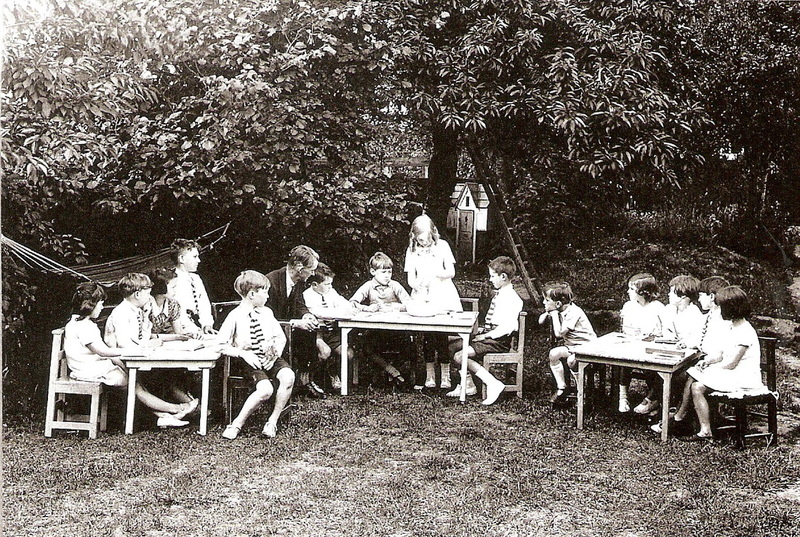 The school was run by Mr. & Mrs. McKay and from the photograph below c1928, it would appear lessons were relaxed and held in the garden when the weather conditions were appropriate. This particular class/group is just 14 children compared with at least 40 children in the church schools. Starting from left to right a few names of the children have been identified. If you can identify any of the other children as a relative please contact us.